H2Outdoor has been offering exciting adventure experiences to various groups, individuals and families for many years and we have seen many changes within the industry during this time. We are seeing more and more families visiting us during the school holidays but with the growing emphasis on encouraging children to get active, we have created a range of adventure packages in accordance with our AALA Licence and are proud to be able to provide those same unforgettable experiences to Youth Groups and Schools. We have been working hard over the last few years, talking to teachers and various youth leaders to ensure that our activity packages encourage education, learning, and fun through a range of adventures. Every group is different and often with varied needs but with our wealth of experience in running activities for groups, we are able to specifically tailor each experience to the individual requirements. We have a variety of options from day visits where the groups can enjoy a “one-off” adventure or we have package options available so that you can increase the length of your stay and combine all the action you want with accommodation included if required. We offer a range of hand-picked places to stay from camping to luxury lodges, so whatever your budget we have something to suit. If you really want to make your outdoor experiences exciting, why not combine the usual thrills of an adventure package with one or more nights’ stay in our new 6 & 5 metre Bell Tents.. The tents are fantastic as they offer plenty of space for several people to share and offer that real sense of adventure as you sleep under real canvas. All tents will be ready for your arrival and can be pitched at a campsite of your choice so you are able to choose how “rustic” you want to make the experience. 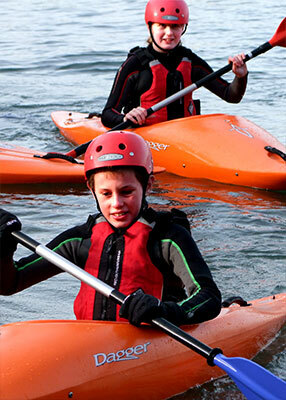 H2Outdoor offers a selection of exciting activities for you to choose from but we do find that our water sports programme is very popular. You are able to hand-pick the adventure you would like to experience or leave it to us to put a package together for your approval. In addition to the benefits gained from participating in the usual adventurous activities, we can also arrange specific team building challenges, a learning programme for new skills or just a simple reward based experience. We ensure that our highly qualified team of instructors are all fully trained to be able to run our range of activities not only in a way where safety is paramount but also to ensure that each individual gets the very most possible out of their new experiences. 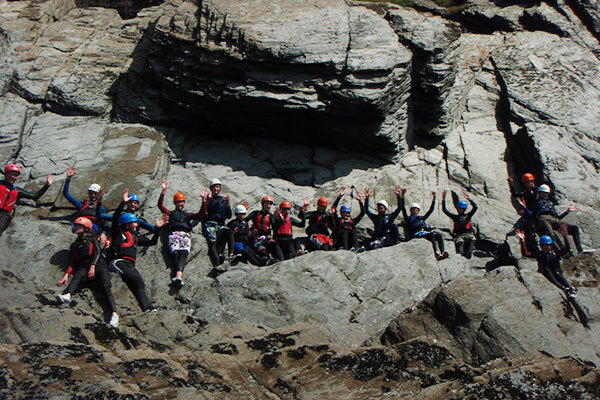 H2Outdoor is fully licensed under the HSE Adventure Activities Licensing Authority and any adventures not under the scope of this licence will be run in strict accordance with the relevant UK governing bodies. 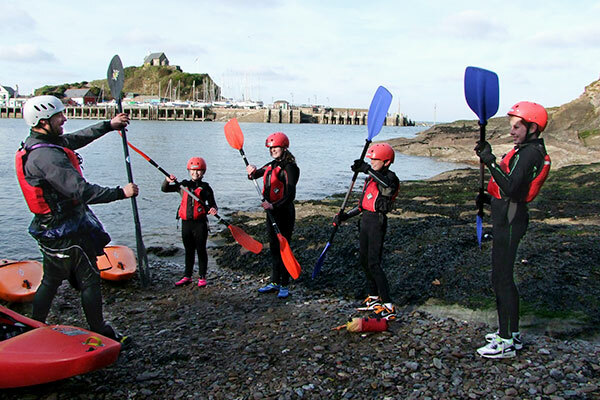 If you are considering bringing your school or youth group to sunny North Devon and want to them to experience the fantastic benefits of water sports and other outdoor pursuits, just give us a call and speak to a member of our experienced team or send us an e-mail with your requirements and we will do the rest. How do I book a session with H2Outdoor? To book your activity session with us all we require is a £10 per person deposit which will hold the selected dates and time slots for you and then the final payment is due a minimum of 2 weeks prior to the activity date. Payments can be made by card over the phone or via a bank transfer. Please note that additional deposits may be required if booking accommodation with us. What happens if numbers change in our group? We always say that it is much easier to add people than it is to take them away but we are aware that it is hard to confirm numbers right from the start and so we will work with you closely throughout the booking process. Cancellations made 6 weeks or more prior to the activity date will get a full refund. Each of our water sports last for around 2 hours in the water but you will need to allow longer for getting changed etc. Longer sessions are available on request and we are able to arrange full days of adventure to keep everyone occupied. The duration of other activities such as High Ropes will vary. All group members will be wearing a range of safety equipment which will include a personal floatation device for all water sports. Being able to swim 50m is advisable but more importantly you will need to be water confident. 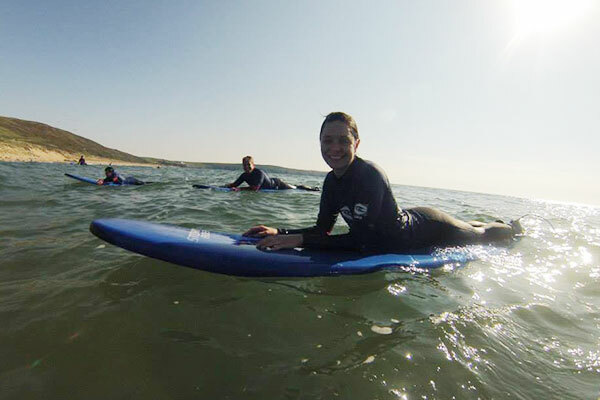 All equipment and wetsuits are provided for each activity and are included within the price of the session however you will need to bring something to wear under the wetsuits (swimwear is ideal) or old clothing and sensible footwear if doing a land activity. A full kit list will be sent out for your chosen activities with your booking confirmation. When it is raining, we find there is nothing better to do than be in the sea and get wet from every direction. The only time we need to cancel is if the conditions are dangerous or unsuitable for the group. We have other locations available that may offer more shelter or we can offer a different activities if required.